You can make Andrea’s Christmas cake well ahead of the big day – in fact, the longer you leave it, the better it will taste! 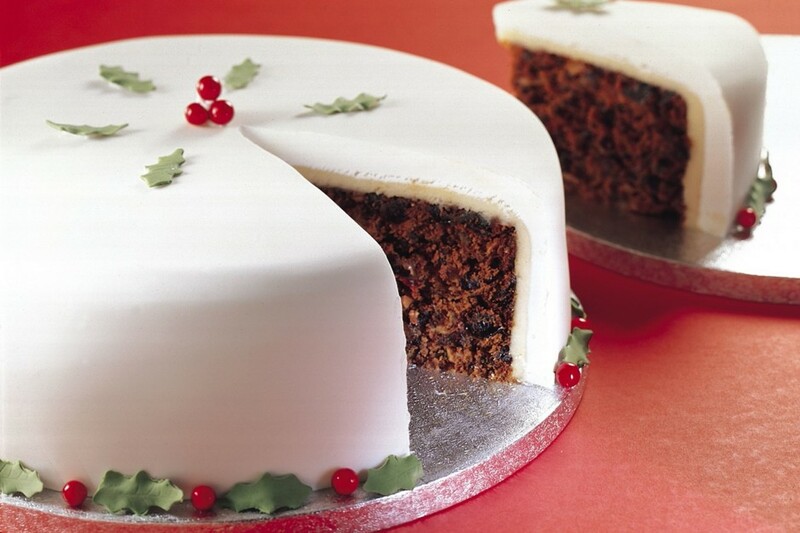 This delicious Christmas cake will be the talk of your Christmas Day meal or party. Made with fruits including currants, raisins and candies and soaked with rich sherry, the sponge is fruity and moist. 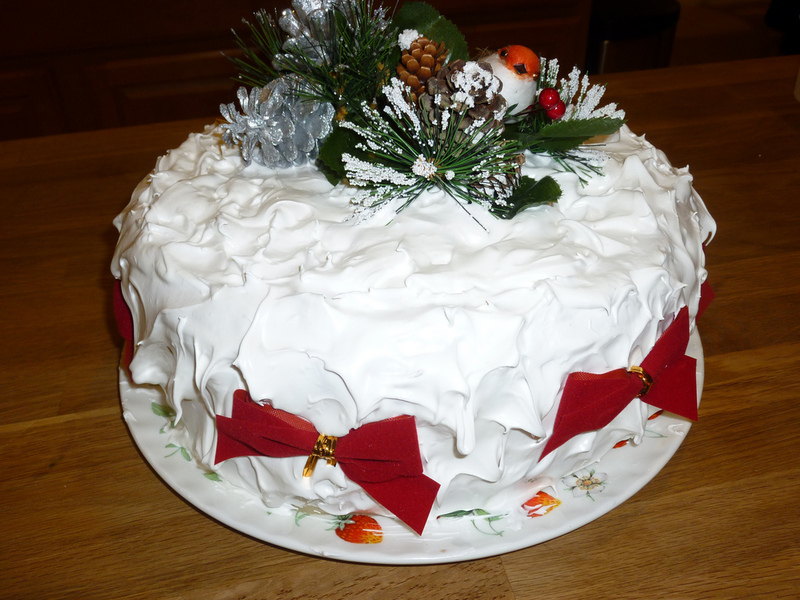 Andrea’s Christmas cake is topped with an easy royal icing and decorated with a festive ribbon. This cake is simple to recreate at home and has to be one of our favourite bakes. The whole family are going to love tucking into this cake. It makes a foolproof Christmas cake every time. Put all the dried fruit in a container, pour over the sherry. Cover with a lid, and leave to soak for 2 days, stirring daily. Grease and line a 23cm (9in) deep round tin with a double layer of greased greaseproof paper. Preheat the oven to 140C, 120C fan, gas 1. Measure the butter, sugar, eggs, vanilla essence, almond syrup, salt, baking soda, into a very large bowl and beat well. 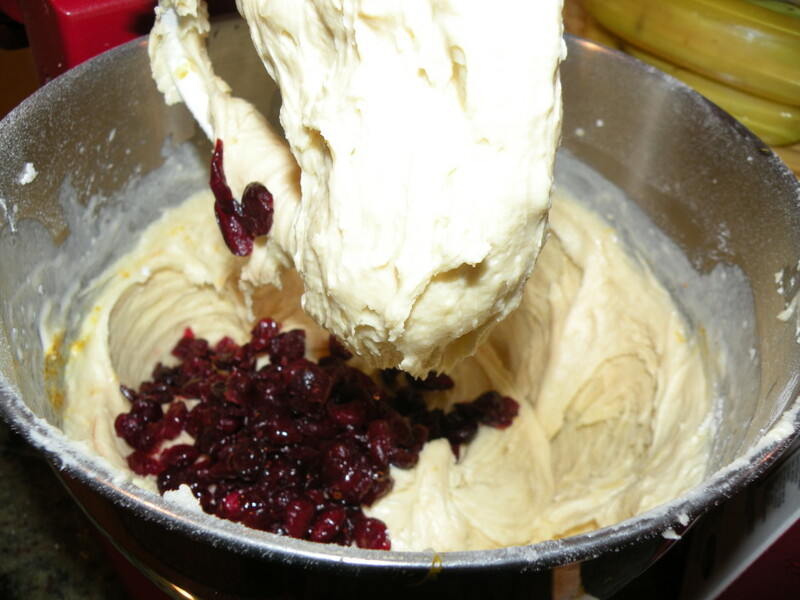 Add the flours and mixed spice and mix thoroughly until blended. Stir in the soaked fruit. Spoon into the prepared cake tin and level the surface. To decorate the cake, place the cake on a foil board or cake plate. Dust your hands and the work surface with a little icing sugar and knead the marzipan until soft. Roll out half the marzipan to fit the top of the cake and roll out the rest in strips to fit around the sides of the cake. Brush the cake all over with the warmed apricot jam and then place the marzipan on top and around the cake. Cover the cake with a clean tea towel and then leave in a cool place for at least one day. To make the icing, lightly whisk the egg whites adding the sugar at intervals. Beat well until the icing reaches soft peaks. Add the lemon juice. Spread icing all over cake either flat iced using a clean ruler or by forming soft peaks. Decorate with Christmas ornaments.